Are you looking for an MOE approved language school to support your child with their French O-Level studies? Then look no further than French Studio! If your child has chosen to study French as a second or third language at secondary school, then our teachers are on hand to guide them through their studies and help them to successfully prepare for their exams. We follow the exact same syllabus as the Ministry of Education Learning Centre (MOELC) and have a proven track record of exam success. At secondary school level students studying French as a second or third language will need to sit an annual exam in French. 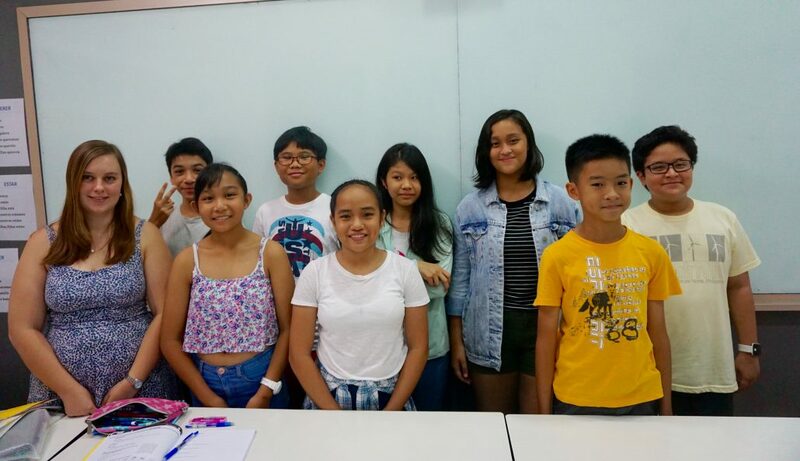 Students sit a test every September in Secondary years 1 to 3, before sitting their French O-Level exams in Secondary 4. Students are tested on the 4 core skills of speaking, reading, writing and listening. At French Studio we offer courses from Secondary 1 through to Secondary 4, which prepare students for their French O-Level exams. Your child can choose to attend classes in addition to the ones they take at the Ministry of Education Learning Centre, or if necessary in lieu of. We follow the exact same syllabus as the MOELC. Hold mock tests throughout the year, using real past exam papers – We have found this is one of the best ways for students to prepare for their O-Level exams. It is also a good way for parents to see the progress their child is making! Registering your child on one of courses couldn’t be easier! Simply visit our website and complete our online registration form. Course descriptions and information about the syllabus we follow is available on our Schedule page. January is the best time to start classes with us, as your child will be able to follow the program from the very beginning and be fully prepared for their exam in September! Classes are held once a week, for two hours. Since 2011 we have helped a large number of students to study for, and pass their French language exams. 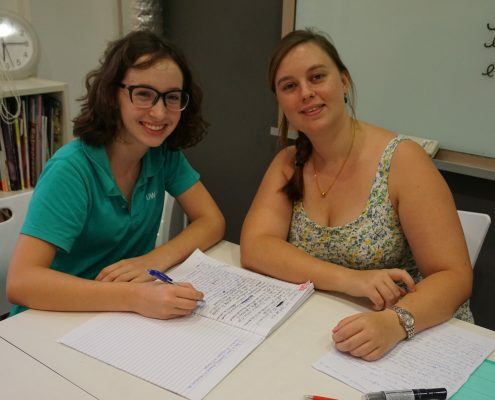 All our teachers are native French speakers, who are qualified to teach French as a foreign language and we pride ourselves on our classes being taught in unique, fun and interactive ways. We have a wealth of experience teaching French in Lieu of Mother Tongue and as a second and third language. We have been recognised by the Ministry of Education for our high levels of teaching and are MOE registered. We also partner with several local schools. By joining us your child will be able to study for their qualification with less stress and more confidence. Did you know that we also teach French in Lieu of Mother Tongue classes for primary school students? Read our blog to find out more. Further information about our schedule and when they are held, can be found on our website. If you need more details, please don’t hesitate to contact French Studio.